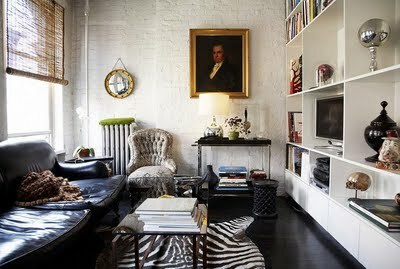 makes a strong case toward the need of a black leather sofa. and a zebra rug if used correctly will NEVER go out of style. ever. you hear me? you know who you are.